Actually there is no rolling at all in this incredibly easy and delicious low carb cookie recipe, which is one of the things I love about it! I’m a huge fan of Linzer cookies – they taste amazing and they are beautiful works of art usually. Since I’m not about spending hours perfecting a gorgeous keto cookie that’s only going to get eaten in about 10 seconds time, I wanted all of the yummy linzer cookie flavor and texture in a low carb, gluten free, and SOOPER EASY format. 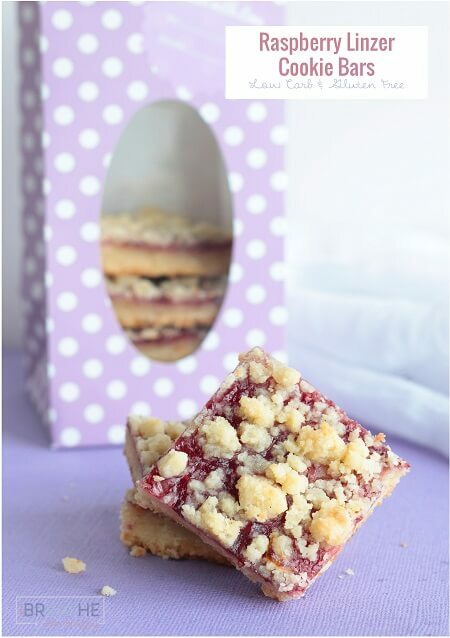 All you need to do is mix up the low carb shortbread crust recipe, press 2/3 of it into your pan, spread the sugar free raspberry jam mixture over it and crumble the remaining shortbread over the top. Bake and nom. 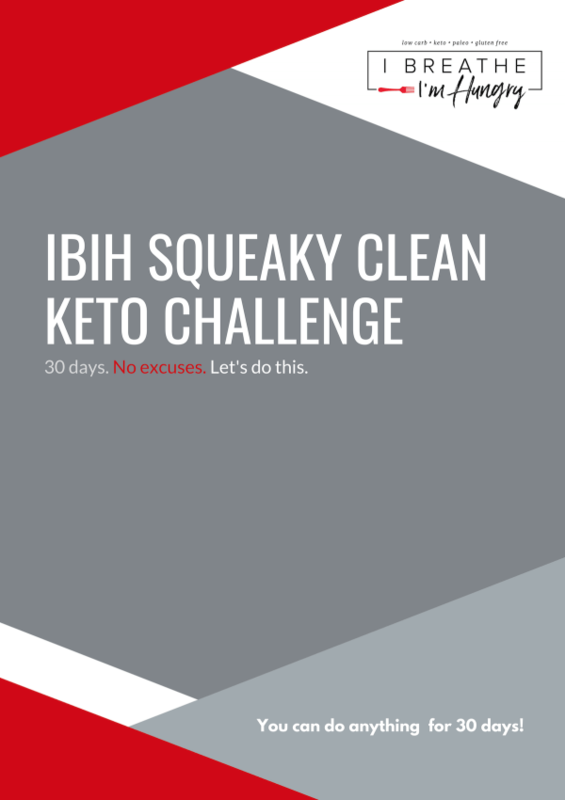 Stay tuned for more delicious and easy low carb cookie recipes ALL WEEK LONG here at IBIH! 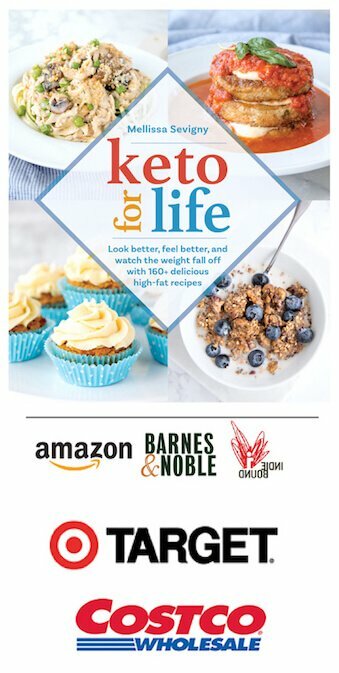 Keto cookies all week!?!?! Hooray!! These low carb cookie bars make great gifts, and while I can’t remember where I bought these cookie bags shown in the photo, I did find some super cute options on Amazon if you want to box some up for a friend or as a hostess gift! 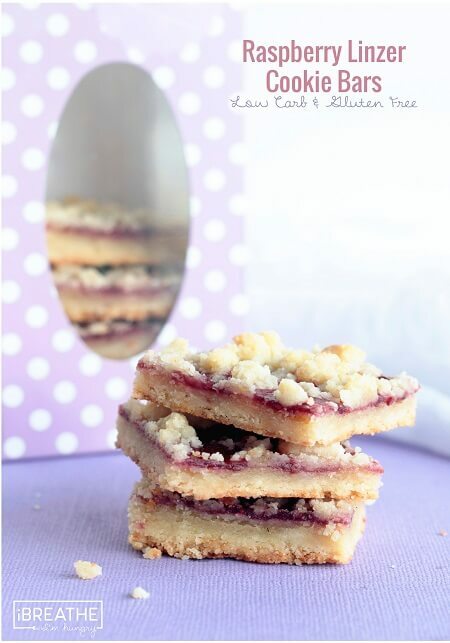 These low carb cookie bars have all the flavor and texture of your favorite raspberry linzer cookies, but without the tedious work! Keto, gluten free, egg free, Atkins friendly. Combine the melted butter, almond flour, sweetener, and vanilla extract in a medium bowl and stir well until a stiff dough forms. Line an 8 x 8 baking pan with parchment paper and press 2/3 of the crust dough into the bottom. 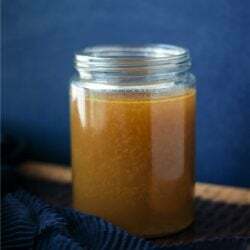 In a small bowl combine the jelly, xanthan gum, and almond extract and stir well. Spread the jelly mixture evenly over the crust. Crumble the remaining crust mixture over the top of the jelly layer. Bake in a preheated oven at 350°F for 30 minutes or until golden brown and firm. Remove from the oven and cool completely before cutting into 2 inch squares. 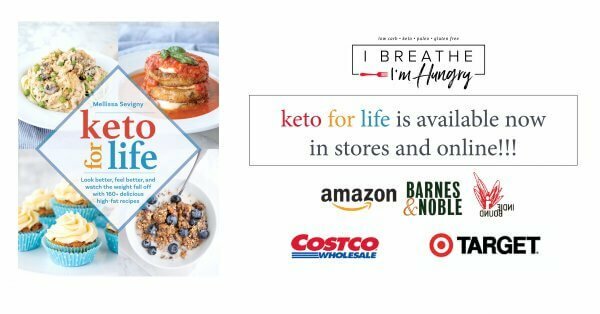 To see a list of my favorite low carb products and brands that I recommend for sweeteners, flours, etc. you can check out the IBIH Pantry Ingredients Page! 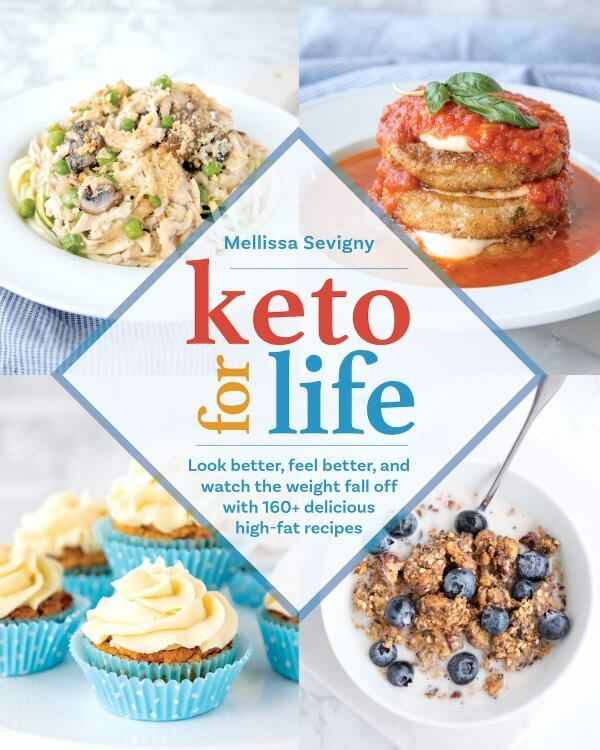 New to low carb and need some help getting started? 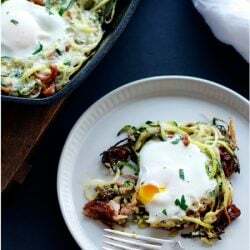 Try out any one of my free low carb and keto menu plans with recipes and shopping lists and start losing weight fast! 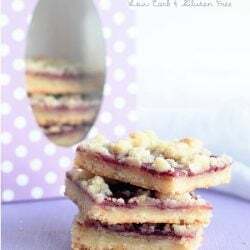 I am so completely taken with these Bars, they reminded me of the raspberry ZIngers, so I decided to add unsweetened coconut under the preserves. 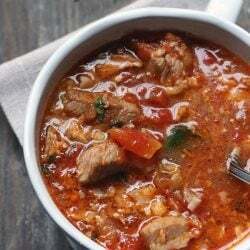 THank you for your recipes, you are one of my top 2 favorites! These are delicious! They froze really well too. 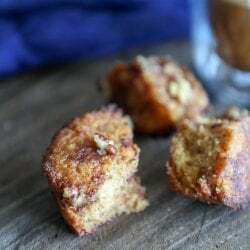 Would coconut sugar work as a Sweetener? baked goods by myself. Not this time! I did make a few little changes. Used half almond and half hazelnut flour because I did not have enough almond flour. I added one egg, I live high altitude and with very little humidity. Dough was too dru. Thanks Dagmar – I’m beyond thrilled that these made the cut with the entire family! Pro-tip for the impulsive, you actually have to let these cool ALL THE WAY TO COLD, like not even a bit warm, otherwise you’ll have a crumbly mess. So glad you liked these Jenny! And YES, I just posted an awesome keto friendly snickerdoodle recipe this month! AH-MAY-ZING! You’re blog is a lifesaver. 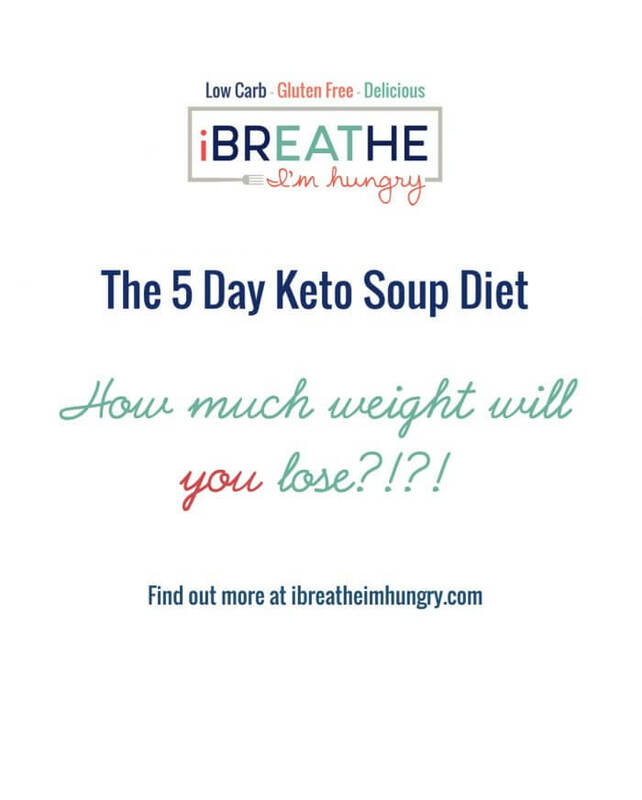 I’m working with my doctor being on Keto, and you’re blog is one of the secrets to my success! 60lbs down! No more arthritis or nerve pain, no more acne! 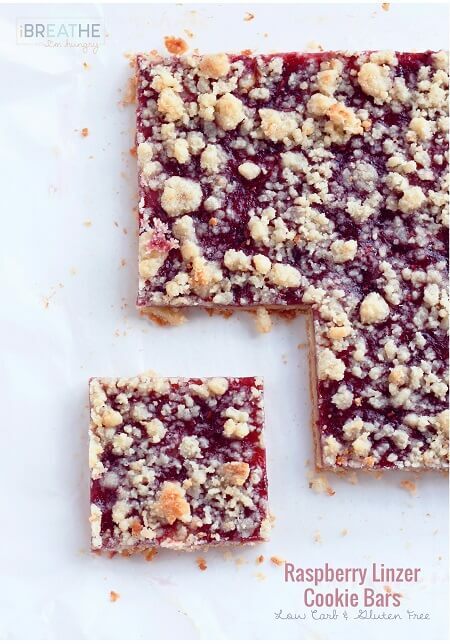 You tempted me into making your Linzer Bars. I made 1/2 the amount in a bread loaf pan. Yesterday, I only had coconut flour & a peach-orange preserve on hand.. I thought I would tell you, “They cam out good.” I did add a pinch of sea salt- because I add it to everything. I must have hastily tossed all the good buttery crumbs for the base crust. So, I needed another Tablespoon of butter for a better topping crumble texture. Now, I have to make the Linzer Bars with the listed almond flour. Thank you. OK, so I made this tonight, but I’m not going to leave a “rating” because I had to change some of it for what I had. I used Walden Farms strawberry fruit spread (which is pretty strange stuff) because we didn’t have sugar free preserves and the store didn’t have any in raspberry. I also used truvia’s baking blend sweetener, which apparently is twice as sweet as sugar…I didn’t have my phone on me so I couldn’t check the ratios of the sweetener used in the recipe. I also used an 1/8 tsp plain gelatin instead of the xanthan gum, which worked really well. Plus, my almond flour isn’t fine grain, so that made it a little different too. All in all, my only complaint about mine, would be the sweetener part. Will definitely change it next time. I’ll probably also use actual preserves, even if I have to use strawberry. Thanks for the recipe! Can you sub pain gelatin for the xanthan gum? Not sure Amanda – if you try it, just a pinch or they will be too rubbery! Let me know if it works! Melissa, these are incredibly quick and easy to make, and taste heavenly. Thank you so much for the recipe! I have also found that if I make a triple batch of the dough, I then make two batches of the bars with extra dough on the top and pat it down slightly so the filling is completely covered; they become a super-simple low-carb version of a “fruit and cereal” bar (a snack I have always loved but can’t eat any longer due to the high carb count). Fantastic with coffee, tea or a cup of milk, and I can wrap them up individually for take-along snacks. 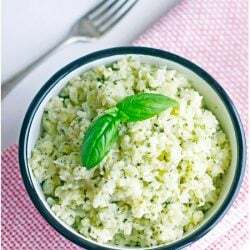 I’ve added this to my list of Best Low-Carb Recipes! I’m definitely making these. You have amazing recipes. But I have found nothing compares to the true-to-real jam flavor of Nature’s Hollow products. These will be divine with the Raspberry flavor for sure! I also have a diabetic stepson, so he’ll really enjoy this treat! Wow! Just made these! They are so yummy, I feel like I’m cheating!! I’ll have to make sure I don’t eat all of them at once!! I really liked the Swerve sugar substitute…1st time using this. 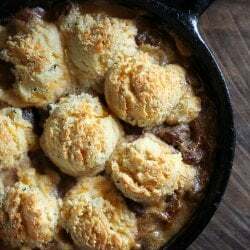 Great recipes on your site! Thanks for all your hard work! There’s no sugar in this Krista, but if Stevia is your sweetener of choice then go for it! I’ve tried to make these three times but the crust is always gooey. It never becomes a stiff dough and I have no idea what I’m doing wrong. I made these tonight and yum! However the very bottom is quite dark, almost burnt. Next time I will take them out before 30 min. My oven does tend to run hot though. Has anyone tried with home made raspberry chia seed jam? The second batch today currently is baking in the oven! Making them to take to a party tomorrow night. I had to sub SF Polaner Strawberry preserves b/c it seems my local grocery stores don’t understand that variety is the spice of life — even with Sugar Free products. 😳 Anyhoo… These are just as fabulous. Hopefully I’ll get to taste the yummy, sweet tart raspberry preserves one of these days. These are easy, delicious, and so festive! Do you know if you could sub coconut flour? And how if you think it can be done? You’d have to find an existing shortbread recipe made with coconut flour and just sub that in – not sure if and how it would work to just sub in the coconut flour, you’d have to change all the ratios and I’m not sure it would have the right texture! Oh yum, yum, yum! This is simply delicious! Almonds and fruit are a match made in heaven. THANK YOU so much for all of your tasty, inspiring, and healthy recipes. But most of all, thank you for bringing the joys of baking and cooking back into my kitchen. Looks divine! I must ask, what does the xanthan gum do? I have never worked with it before. Can’t wait to try these! The xanthan helps the sugar free jam thicken and gel better Lin, but they will still taste good without it, it just might soak into the shortbread dough a little more! Thank you! I cannot wait to make these. 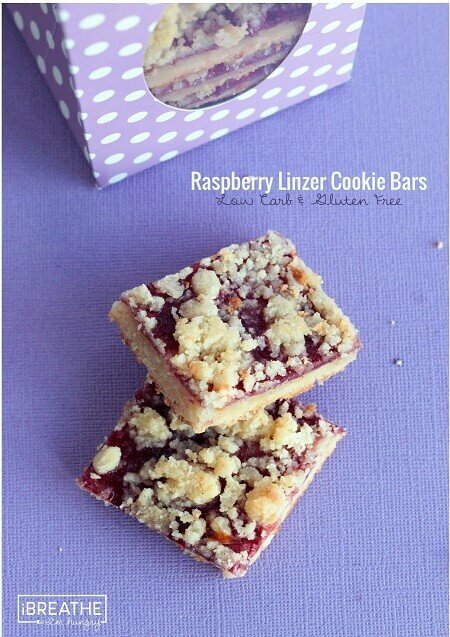 I’m a Linzer cookie fan, as well. These are just in time for the holidays, as well! Thanks Tere, hope you like these as much as we did!!! I just made this with my homemade sugar-free cranberry sauce instead of the jam. It was super delicious! Sounds amazing Kathy! 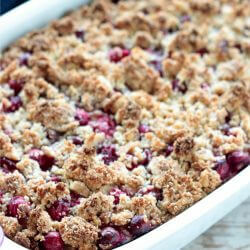 I’ve done it with apricot but I love the idea of the cranberry!